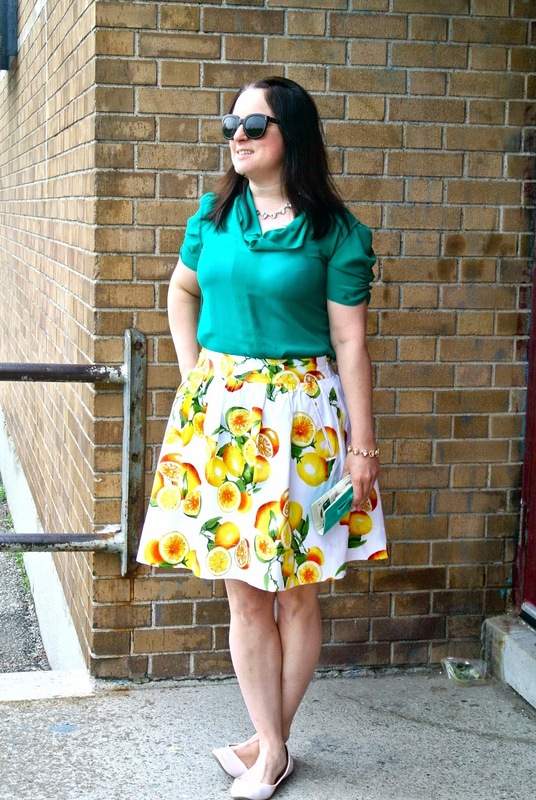 A citrus inspired print seems to be everywhere this spring. 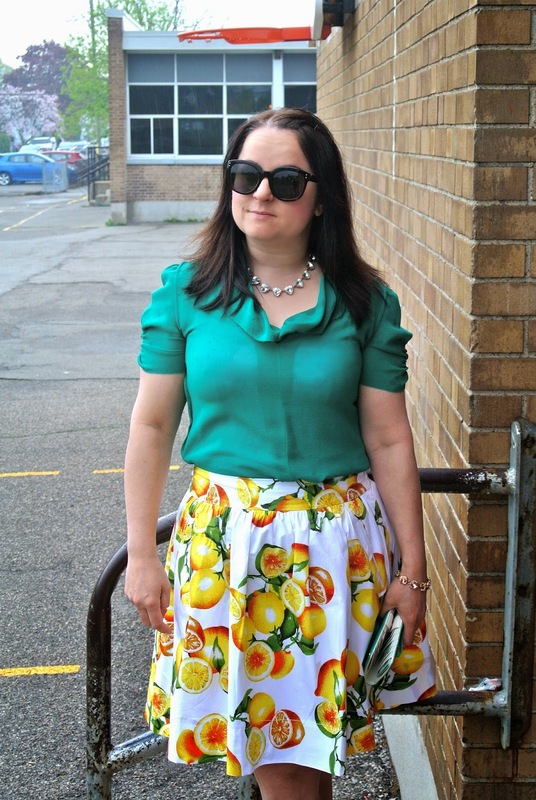 A burst of colour is always welcome in my fashion world. 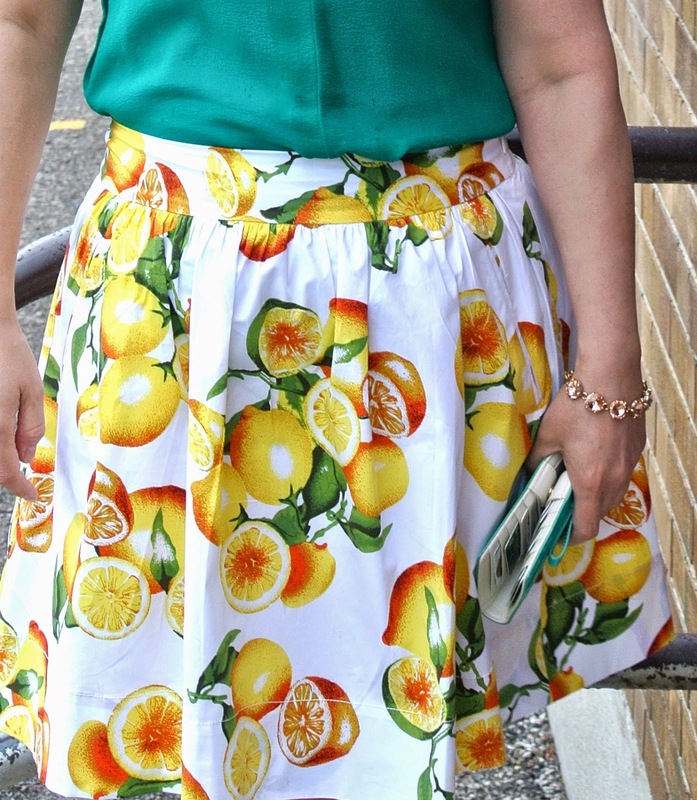 To show off this skirt I took a fave Aritzia blouse of mine that I have had for a few years and turned it inside out ( I like the neckline better). 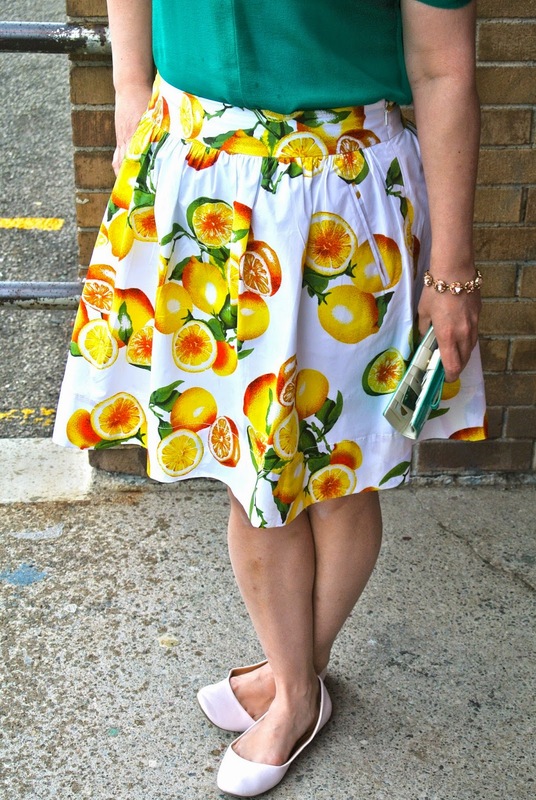 I used a pale pink flat so that the shoe colour would not interfere with the skirt colour.